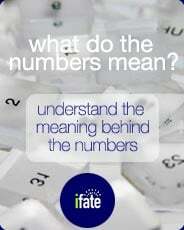 What does each number in numerology mean? Numbers surround us all day long. They measure, calculate, describe and identify everything we do. They provide the basis for games and competitive sports. They measure our vital signs and describe our personal measurements. They adorn the fronts of our homes. 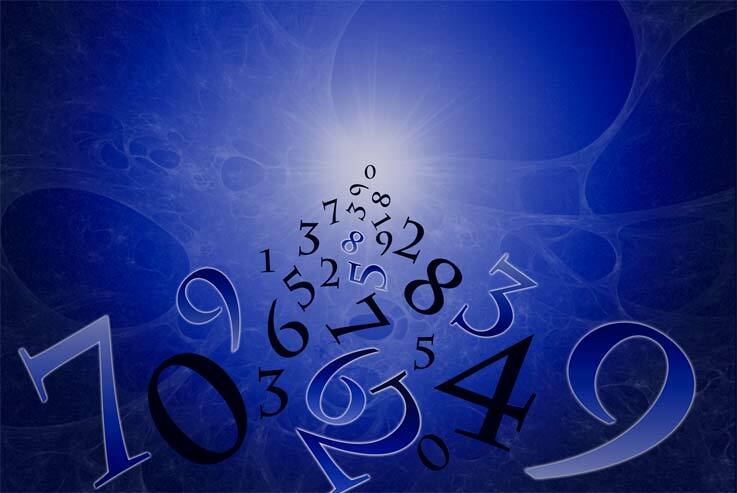 Those who study numerology believe that the influence numbers have over our daily lives far exceeds the standard mathematical properties that most of us give to them. Each different number has it's own set of attributes and meanings which relate to individual character types, moods, events and forces which have influence over a particular person or situation. 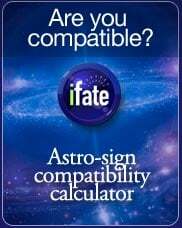 While Numerology has many different types of readings, like the "Life Path" number and the "Destiny" number available in a numerology name report, the meanings of the underlying numbers can be generalized with specific meanings. Each of these numbers will take a subtely different meaning depending on which type of Numerological reading it is applied to. Each number has distinct "positive" and "negative" meanings, much like the inverted and non-inverted meanings of tarot cards in a tarot spread. While it's important to take both into account when doing an advanced-level numerology reading, beginners can simply look at the overall non-negative meaning as an "area of focus" which may be either positive or negative. The Number ONE in numerology is a powerful number of initiation, leadership and personal drive. One is often seen as a creative force, and indicates courage, self-determination and a commanding spirit. The Number ONE taken to it's negative extreme, can represent: egotistical behavior, self-centeredness and an inability to consider the needs of others. The Number TWO in numerology is seen as generous, warm, adaptable and sympathetic. Two is often seen as a nurturing energy, vital to the establishment of society, relationships and the home. On it's negative side, the number TWO can often represent: an overemphasis on petty details, self-consciousness, timidity, and a sense of victimization. The Number THREE in numerology is commonly seen as the 'creative' number, representing visual creativity, problem solving, communication and powerful imagination. THREE is also associated with a positive life outlook, and a deeply rooted sense of optimism. A lack of creativity, personal conceit, an inability to conclude creative projects and a loss of optimim. The Number FOUR in numerology represents a highly structured environment, an adherence to organization and rules, a sense of order and a respect for the law. Four can also reference management abilities and skills relating to large groups of people. On it's negative side, FOUR can often represent: a lack of coherence and understanding, an inability to see the big picture, confusion, a transgression of the law or a failure to comply with existing order. 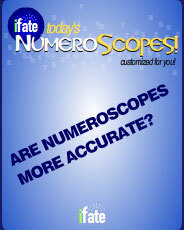 The Number FIVE in numerology points to original vision, new horizons, flexibility and spontaneity. Five can often represent a pioneering spirit which pushes the boundaries of what is possible through perseverence of will and nimble action. On it's negative side, FIVE can represent a disrespect of natural boundaries, a sense of impatience and a willingness to defy the greater good for personal conquest. The Number SIX in numerology is frequently connected with groups, societies and larger social units. When referencing a person, the number six denotes a strong sense of social responsibility and interconnectivity. One who is responsible and a "good neighbor". Six also references creativity, love and strong ties of friendship. On it's negative side, SIX can represent one who has shunned society, broken the trust of others or is opposed by many others. The Number SEVEN in numerology represents both science and magic. Analytical skills meet with natural inventive abilities, and a strong sense of perfectionism. Seven can ofen represent a person who spends a great deal of time alone, engaged in personal projects or work. One who meditates and finds wisdom there. On it's negative side, SEVEN can represent one who spends too much time alone, or one who allows his or her sense of perfectionism to interfere with other essential aspects of their lives. It may also reference someone who is easily distracted or someone insincere. The Number EIGHT in numerology is strong in executive character and management ability. The essential qualifications for power, rule and decision-making are inherent in the number. The ability to make wise judgements is also referenced here, along with an overall theme of responsibility and trust. On it's negative side, EIGHT can represent one who squanders his executive ability -- or uses his abilities to enrich himself at the expense of the group which he or she represents. Immaturity, selfishness and recklessness. The Number NINE in numerology is a highly social number, posessing traits of good-cheer, friendliness and social ability. Nine can often represent a person who is a socialite, or possibly one who posesses strong social ability and confidence even if they mostly keep to themselves. On it's negative side, NINE can reference irresponsible partying, drinking and over-indulgence. A misplaced set of values which places social interaction at a level which is detrimental to overall health, wealth and happiness.